It is our great pleasure and honor to announce that TAEF has been selected as one of the Best New Think Tank in 2018 Global Go To Think Tank Index Report. 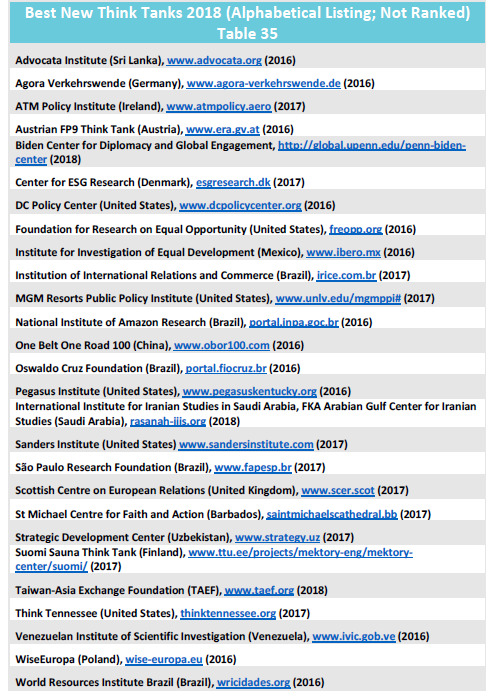 There are 27 international new think tank selected and among which TAEF is the youngest one (established in 2018) and the only one from Taiwan. For the full report of 2018 Global Go To Think Tank Index Report, please see the attachment.